Can I Jet My Bitcoin To Wal-Mart In An Uber? Editor’s Morning Note: It’s the middle of the week and tech is being silly again. Here’s what you need to know. Bitcoin traded sharply lower after a massive hack that saw tens of millions of dollars of the currency stolen. 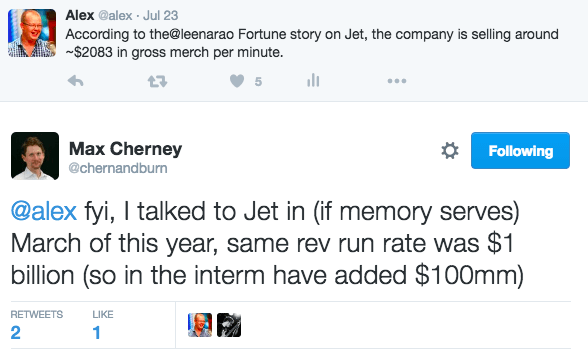 Jet.com, which raised nine figures of capital to blast into a ten-figure valuation, looks like it is going to sell itself to Wal-Mart after one-finger years alive as a launched company. The company that recently agreed to invest in Uber, forming an entity that the American company will own a sizable stake in, is investing in an Uber competitor. All that and earnings season continues. It’s a lot. Fret not; we are here to help. Cyrptocurrency exchange Bitfinex lost around 120,000 bitcoin in a heavily-publicized hack. Bitcoin has recently traded in the $600 range, putting the value of the theft around the $70 million mark. The sum of funds stolen is bad, but the loss of trust caused to the bitcoin ecosystem is even more expensive. As CoinDesk notes, the value of bitcoin fell around 20 percent after news of the robbery came to light. Bitcoin in aggregate is worth billions. That means the price movement following the attack cost billions of dollars in value. This comes after The Halvening of course. Toss in Bitcoin’s cousin Ethereum’s recent issues, and it’s not the best quarter or two for cryptocurrencies. Please lay bets via email concerning the final exit value of Jet. 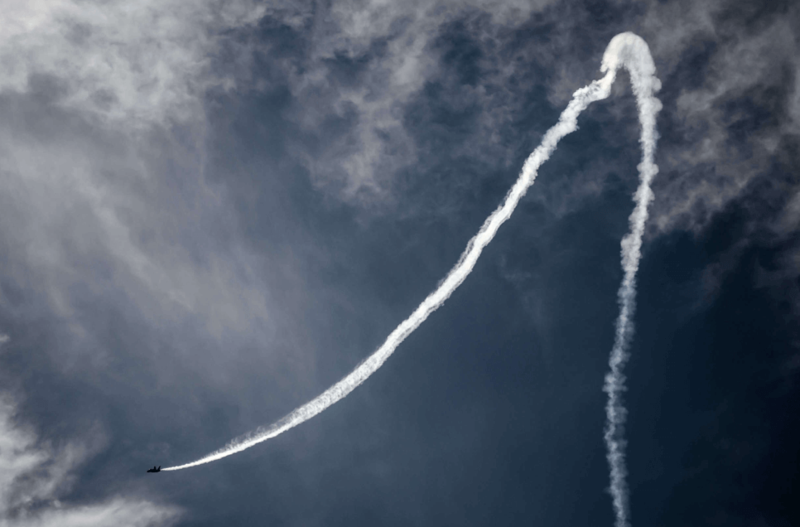 Depending on how you want to measure time, it seems that Jet grew about ten percent in about a quarter. As often, we are dealing with rounded numbers and imprecise dates. Caveat as you will. 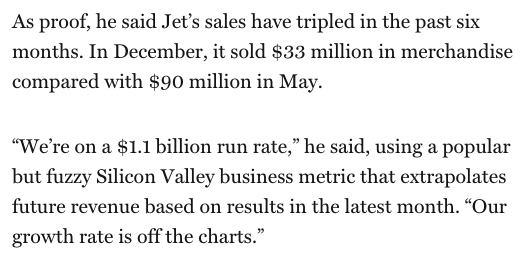 I suspect that Jet would not be open to selling itself for around three times its GMV at such an early stage if it has a multi-year plan to profits that it was tracking to; as such, I suspect the company isn’t exactly in rude health. If the GMV multiple concept is too non-GAAP for you, a $3 billion price tag would be around a doubling of its Jet’s prior valuation1. Uber’s move to sell its Chinese operations to Didi for a stake in the combined entity and pick up a $1 billion investment from the same corporation was massive news. That Uber would concede a market of that scale was proof that there was a level of spend too high for even Uber’s aspirations. However, quick reaction to the decision wasn’t overly negative; in a single stroke, Uber had bolstered its capitalization, cut its burn, picked up a valuable asset of increasing value that it doesn’t have to fund, and granted itself new space to focus on the rest of the world. Which all sounds great, unless the company that it just cut a deal with would quickly go out and fund one of its rivals in those other markets. Quick, to the quote machine! Ah yes. Didi is in for hundreds of millions of dollars in a round that could reach the billion dollar mark. Never forget the dictum that a friend stabs you in the front.